Learn about what goes into making a great website. If you are trying to figure out what makes a good website, know that there’s no one simple answer. There are a lot of things that go into making a good website that will draw visitors in and keep them there. We’ve all stumbled across that horrible, cheesy, website with neon letters and flashing ads and immediately hit the back button to get out of there. Let’s be honest–it’s not just sites with neon lettering that send us running. Sometimes a site looks great, but it’s hard to find the content you are looking for, or the content is long and tedious. There are a lot of factors that may cause a visitor to turn tail without giving your business a chance. Let’s take a look at these four crucial aspects of what makes a good website design. An attractive, up-to-date website design is extremely important. 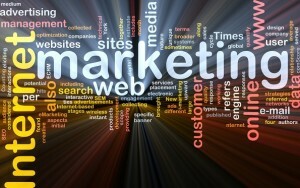 When visitors come to your website they are getting a feel for what your business is all about. One of the worst things you can do is offer them an unattractive or outdated website. Customers really do judge your business based on your website. As you think about what makes a good website name or design, think about the goals and objectives of your business and what will best represent those to your potential customers. This is a really big one. If you go to a site and everything looks amazing, but the site is difficult to navigate, or you can’t easily find what you are looking for, appearances become secondary. Customers will get frustrated and return to their search engine to find another company that offers the same product but is easier to navigate. To make a good website you must make it user friendly and easy to navigate. Remember the “3 click rule.” Users should be able to find what they are looking for in no more than 3 clicks. In our fast-paced technological world we don’t have time to wade through loads of information to find what we need. It’s critical that your content answers the needs and concerns of your visitors clearly and concisely. Heat mapping is an amazing tool to determine what parts of your website are getting the most attention. It can help you to determine if your content is too clunky–and your visitors aren’t even getting to the important things. Click here to receive a free heat mapping report for your website and get started on making a better website! Continuous production of interesting, relevant information for your intended clientele keeps your website dynamic and your visitors engaged. Provide engaging content that answers your visitors’ questions, while also setting your business up as the solution that they are looking for. To learn more about how you can improve your website contact the marketing experts here at Farotech by calling 267-387-6620 or email us at info@farotech.com today!